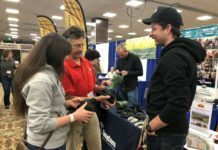 Easyboots had a strong presence at competitions across the US last weekend and the results were very positive. 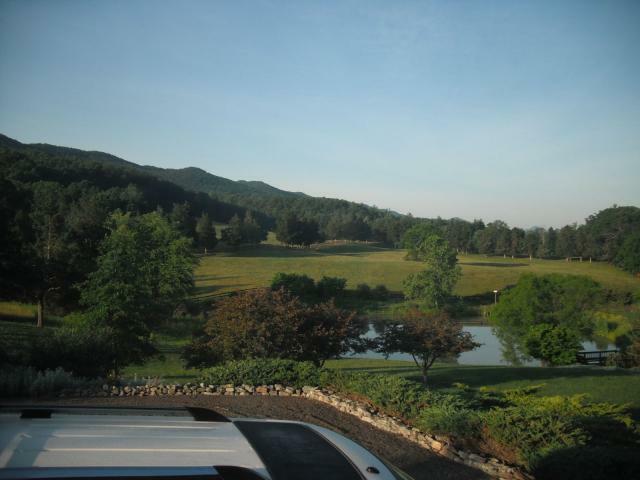 Early morning in the beautful Virginia countryside. Located just east of San Diego, California, Descanso is probably one of the most beautiful rides of the west. Terry Woolley-Howe always puts on a first class event and this year was no exception. Three Easyboot riders finished in the top ten: EasyCare’s Miriam Rezine was on site and glued boots on seven horses while she was there. One of the people she glued for was Clydea Hastie: she would go on to take 11th place on Ash, the horse she is planning to take to the Big Horn 100 next month. Clydea sent us a note today and called the Easyboot Glue-Ons “miraculous”. Thanks Clydea! Miriam got 15th place on her horse. 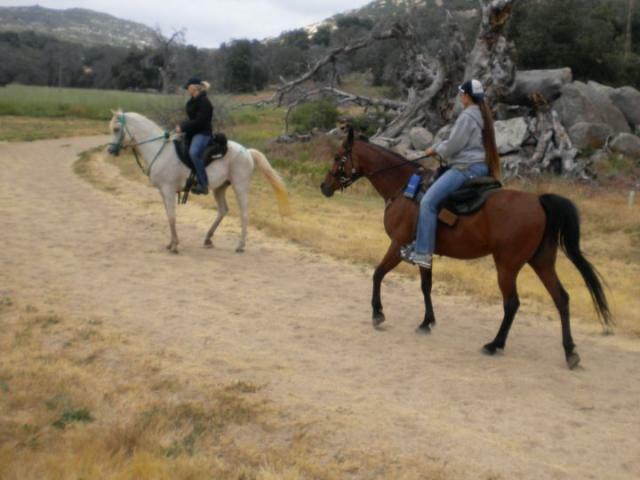 Cheree Hollis and Diane ride through the mist at the Descanso 50. EasyCare also had presence at the revered Fort Howes FEI event in Montana: Tennessee Mahoney finished top five at the 75-mile event. In true Fort Howes tradition, the weather added an additional layer of challenge. For anyone who thinks hoofboots don’t work in mud, Fort Howes would change your mind. Then there was the EasyCare East Coast contingent. I flew in to crew for Kevin Waters in the 100 at the Old Dominion and glued on boots for some of our dedicated northeast riders. Carol Federighi, Ashley Kemmerer and Sandra Fretelliere all completed the 55-mile race in Easyboot Glue-Ons. Sandra’s horse, Twist, even won the Best Condition award. 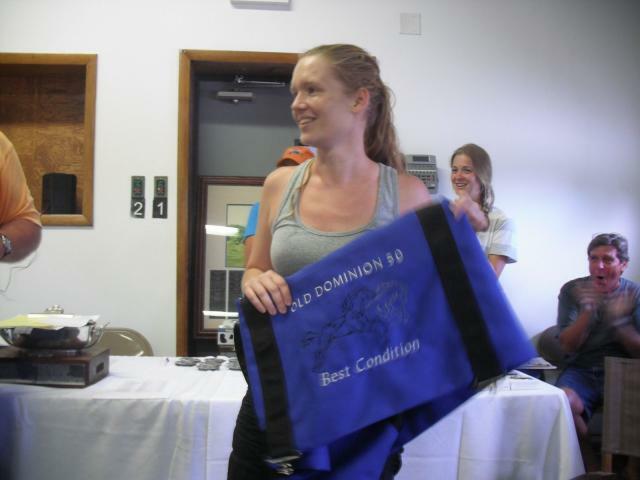 Sandra Fretelliere wins the Old Dominion 55-mile Best Condition Award. Libby Llop and Fly So Free came into the first vet check missing a steel shoe on the left front foot. The vets wanted to pull her: when the shoe came off, some of the hoof wall came off with it. So we pulled the other front shoe and glued a pair of Easyboot Glue-Ons on the front. Libby went on to finish the 100 and is our definitely our latest Glue-On convert. Kevin Waters and DE Golden Ali would place in ninth position in the 100 at the Old Dominion. Kevin won the southwest regional high mileage award last year in Easyboots, completing a staggering 1,990 competition miles. Kevin had a good day: it was challenging for a Colorado-based horse and rider team to take on the humid conditions of Virginia on a hot June day. But Kevin always rides smart, and we clipped Ali’s neck and shoulders to help him cool off. I stocked up on lots of bags of ice and met Kevin at every vet check. As soon as he would be in sight, I’d pour ice into the water buckets I had waiting; we’d pull the tack completely and cool the horse down with the ice water. Even at the heat of the day, Ali only took a few minutes to pulse down. 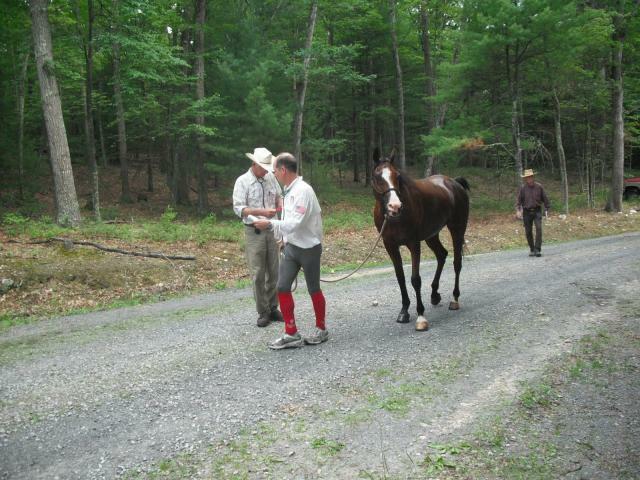 Horse and rider were bright and eager at the 19 mile check, but I would not see them again until the 51-mile mark. They were both hot and bothered by then – and it was 3:30 PM so the humidy was at it’s worst. Kevin said there were more rocks on this ride than he has ever seen. John Crandell III and Heraldic at the 50-mile mark of 100 miles at the Old Dominion. 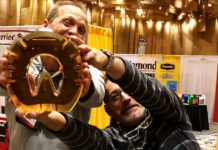 The team would go on to win and get the Best Condition award. Also in the photo: John Crandell Senior and Matthew Macay-Smith. I saw Kevin again at 75 miles: the temperature had cooled down a little but the himidity remained high. 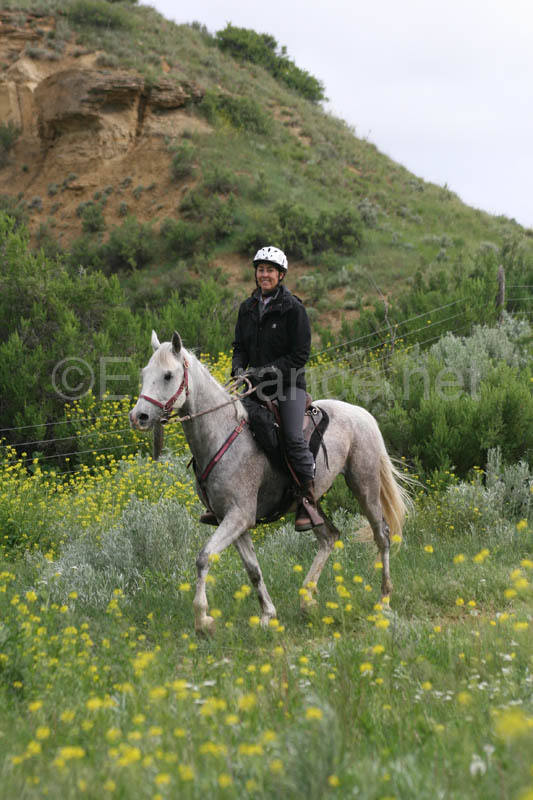 Horse and rider were both fresher, and Ali ate and ate and ate. We saw him again eight miles later and they were both feeling the draw of the finish line. At 94 miles, the vets gave him all A’s. Kevin crossed the finish line with a ride time of 17 hours and 49 minutes: about four hours and 20 minutes behind John Crandell’s winning time. 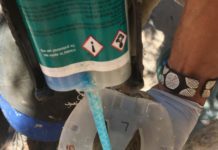 If you’d like help in fitting or gluing boots, please drop us a line or notify us in the comments section of this blog. Easy Boots were ever present at the Valles Caldera ride this weekend where Michael and I did 3 days of riding in Easy Boot Gloves! I love these boots! Several stream crossings and lots of climbing and never lost a Glove! Prince, Freckles, and Remy say thanks to Easy Care for keeping their feet happy!